“Have it your way” was a slogan that fast-food chain Burger King used for forty years to encourage customers to create the burger they want rather than adhering to a strict menu. This is a concept that is generally not embraced in Japanese cuisine. Do you ever purchase pre-packaged bento from a Japanese grocery store in New York City? Did you ever think, “Wow, I really like this, but I wish I could have hijiki instead of gobo kinpira”? Do you even know the difference between hijiki and gobo kinpira? With pre-packaged bento, you don’t have a choice with the sides, and oftentimes there’s no clear explanation on the label about what the contents are. 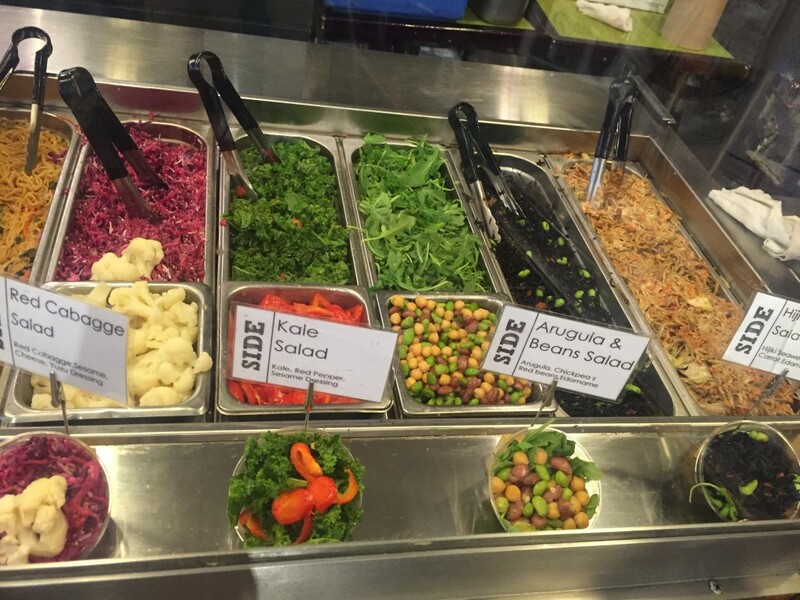 With “Bento On Demand” from BentOn Cafe, you can choose what goes into your bento and learn more about the ingredients and nutritional value of each item. 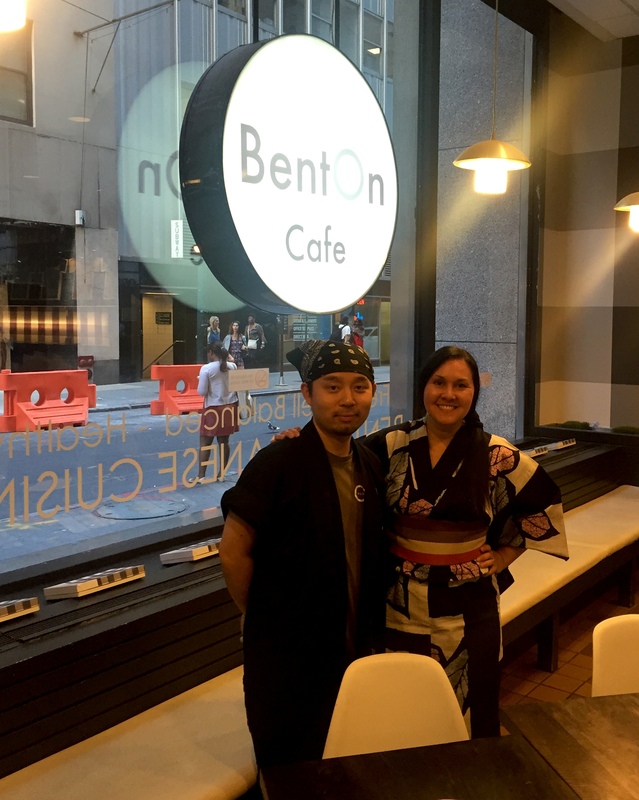 On Friday, August 14 BentOn president Toru Furukawa and I co-hosted a tasting party for English-language press at BentOn Cafe’s Financial District location. Journalists and food bloggers joined representatives from JETRO at the intimate tasting party, where we discussed how Furukawa’s goal of making bento accessible for non-Japanese customers developed into “Bento On Demand,” which gives customers the opportunity to build a bento specific to their individual tastes. After developing the concept for six years, Furukawa launched Bento On Demand in late February of 2015 with great success. He has noticed more non-Japanese customers, which has been a primary goal for him since he moved to New York to run FUJI Catering (now BentOn). 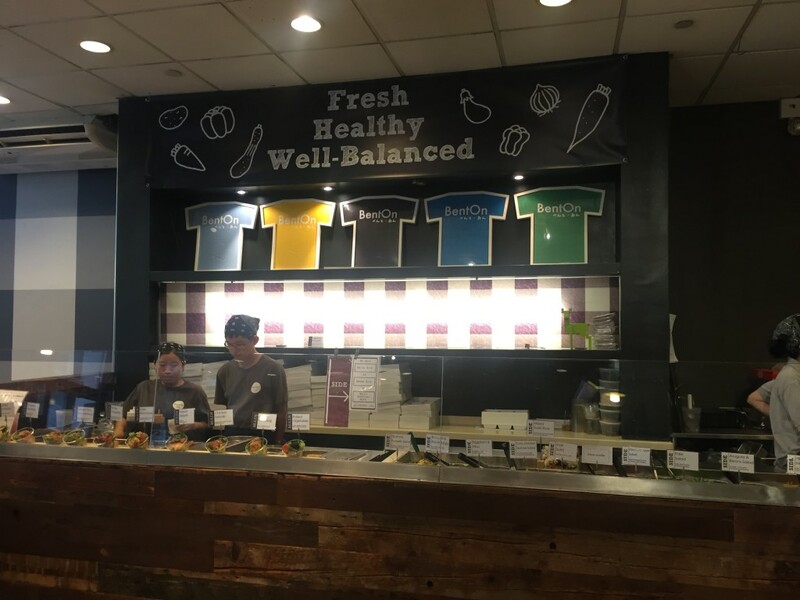 BentOn is a bento-delivery company with a mostly Japanese clientele, but Furukawa has always wanted to provide healthy lunches to all New Yorkers. After opening BentOn Cafe in Midtown and in the Financial District, taking over the space of a former Korean restaurant, Furukawa began noticing more and more non-Japanese customers. 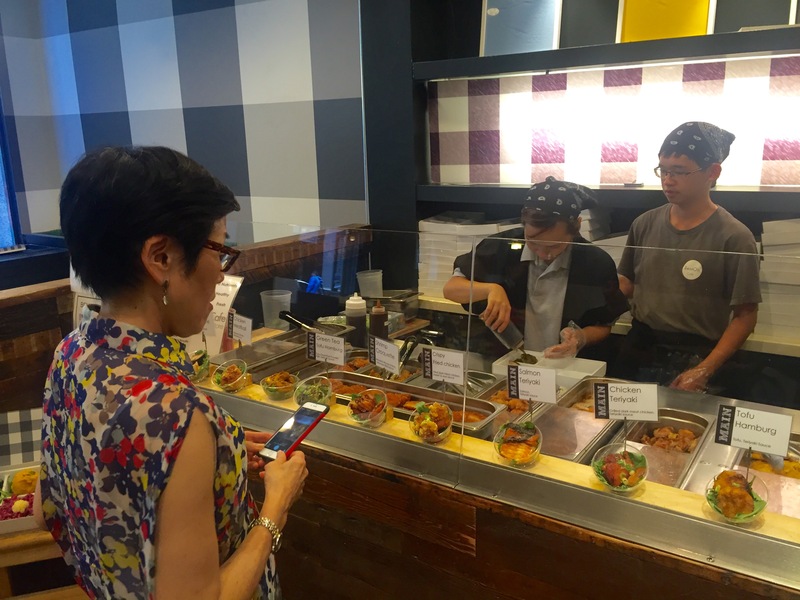 And those customers have had feedback for Furukawa that helped him to adapt the Japanese concept of bento into a more New Yorker-friendly bento. 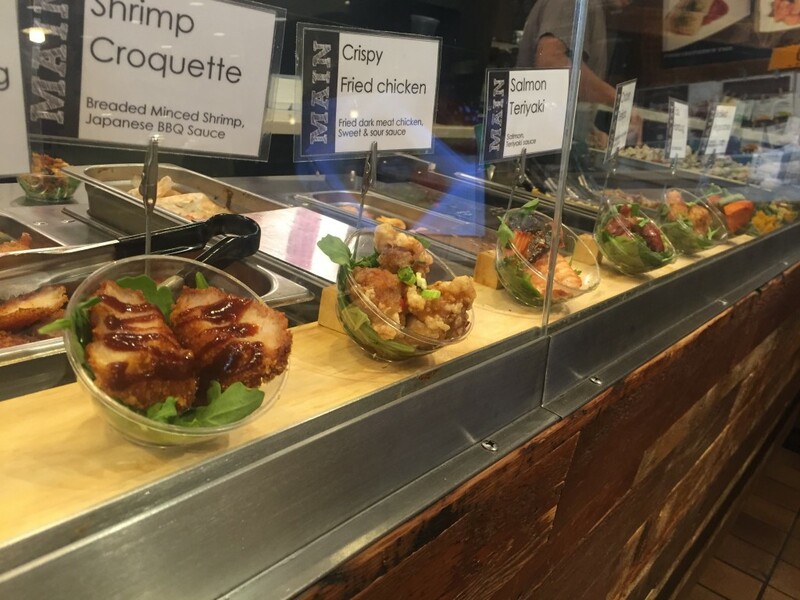 Always striving for 100% customer satisfaction, Furukawa devised his Bento On Demand strategy by observing local fast food restaurants such as Chipotle and Subway. “The main thing that those restaurants have in common is the customer has a choice of toppings,” says Furukawa. Customizing a meal is not a customary practice in Japan. In general, when you order a meal in Japan, you don’t say, “Hold the mayo,” or “Can you add cheese?” or “Instead of this side I want that.” The meal is set, and no changes are made. 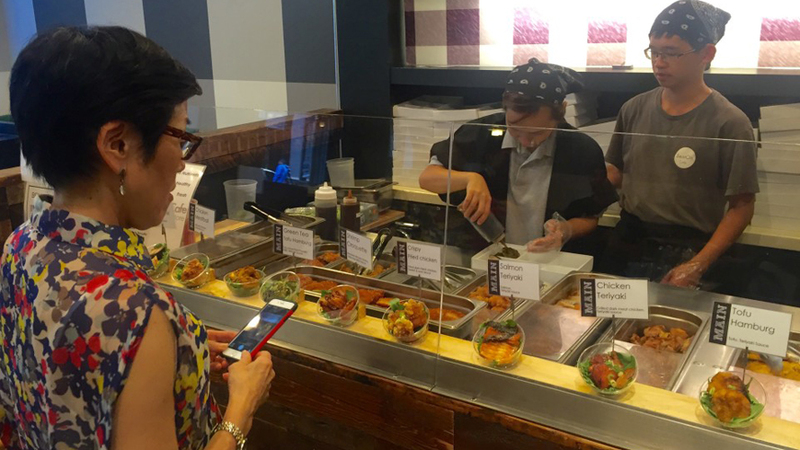 But Furukawa realizes that New Yorkers like – or demand – to have choices. 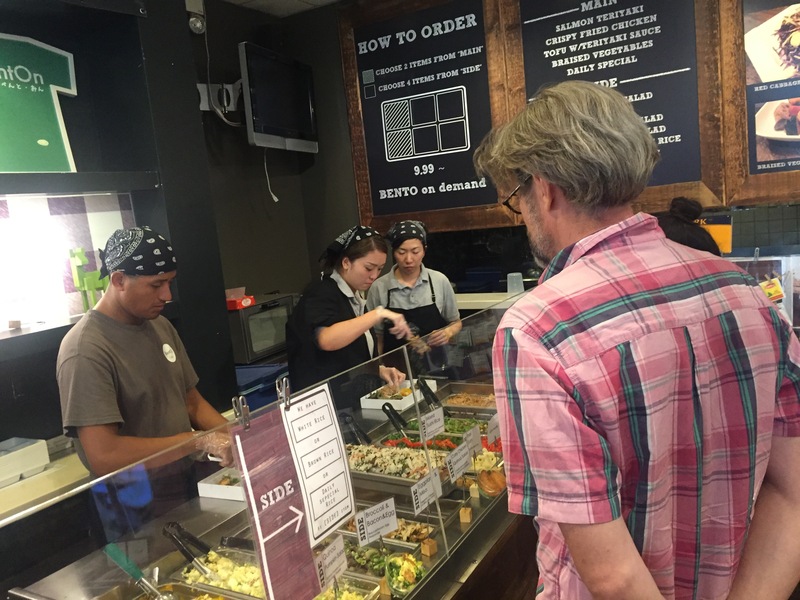 He had enough space in his Financial District restaurant to add another serving buffet, and he researched the different kinds of healthy, non-Japanese sides he could add to the menu, and Bento On Demand was born, finally giving Furukawa’s regular customers a choice and attracting new customers in the process. A bento is simply a boxed lunch, but it is an important part of Japanese food culture. A bento box can be made of plastic, wood, or lacquer with compartments and a lid. There is not one specific menu or recipe for bento; you can have rice, meat, fish, noodles, and vegetables. Bento boxes prepared by BentOn emphasize balance. They contain meat (beef, pork, or chicken) and fish that are broiled, fried, or grilled; seasonal vegetables; and rice, of course. 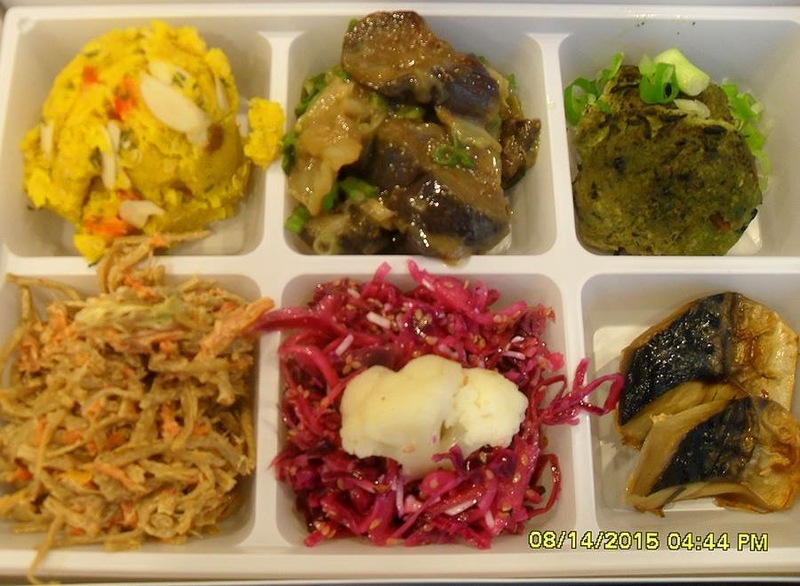 With Bento On Demand, customers have the option of type of rice (white, brown, or mixed), two “mains” (meat, fish, or vegetable), and four sides (various vegetables or salads, Japanese and non-Japanese). If you are unfamiliar with the dishes, you can ask the knowledgeable staff to explain the ingredients and the method of preparation to help you make informed decisions. In a few short minutes, you can build your own bento, a healthy, nutritious, well-balanced alternative to a burger or a slice of pizza for lunch! 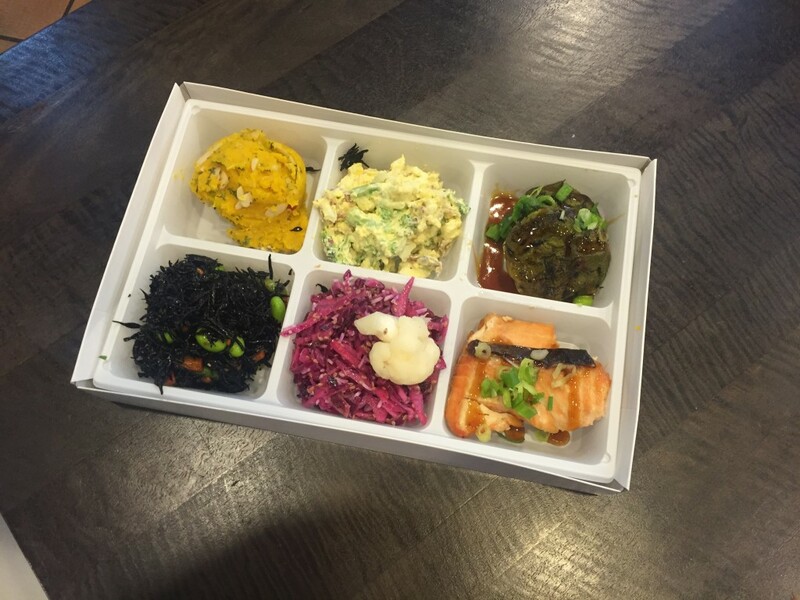 Our guests had the opportunity to create their own Bento On Demand, choosing two main dishes and four sides from a host of options that included salmon teriyaki, tofu hamburg, grilled mackerel, shrimp cutlet, kale salad, red cabbage salad, hijiki, and quinoa pumpkin salad. It was interesting to see the variety of bento that each guest created. Furukawa is striving to make bento popular in New York, and he’s counting on Bento On Demand to be a key component. He just announced that he’ll be selling his bento at Waku Waku +NYC, a pop culture event taking place in Brooklyn August 29 and 30. He invites you to have the bento you want, the way you want it. Next Next post: "Gratitude of the Crane" Japanese Culture Days in Staten Island, N.Y.